Learn how to develop English learning motivation so you stay excited to get fluent in episode 8 of the Power Learning Podcast! In Episode 8, we finish month 5 of the fluency journey of our Master English Conversation Scholarship Contest winners, and discuss English learning motivation. 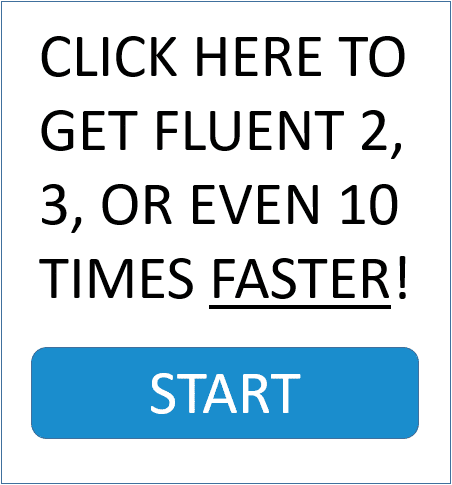 Fluency is a journey that can last a while, so the more you understand about how to stay motivated to learn English, the better you’ll be able to remain focused as your day-to-day English ability and speaking confidence fluctuates. Well, hello and welcome back to another episode of the EnglishAnyone.com Power Learning Podcast. It’s great to be with you again. I’m so excited to be back. I know it’s been a while. It’s been about a month since I’ve released anything on YouTube. I’ve been incredibly busy with new members from Master English Conversation, producing lots of great new videos for that. It’s a much more involved program and it takes a lot more of my time to produce, but the results are incredible. So I’m really happy to be doing that. Uh, and members are really excited with the program so I apologize. I haven’t been doing so much on YouTube, uh, and on the blog lately. But we will be doing a lot of new things coming up in the future. Also, I will be having my very first live lesson. It will be a teacher training, but also for anyone else that’s interested in learning languages or anything else or just loves to see my happy face and wants to learn some English with me. I’ll have some more details about that later, but that will be next month in August. And then I’ll have a replay, uh, of a special video I’m making for that that will be available on YouTube as well. So you can watch the presentation there. All right, well, let’s get into this episode of the Power Learning Podcast Episode 8. Wow. We’re already up to Episode 8. All right. Well, first of all, I want to say thank you so much for the people that appreciate the Power Learning Podcast and like listening to my lovely voice. I’ve always thought I had a weird voice. It’s kind of interesting how that happens. You have – I get comments regularly from people that say they enjoy my voice. And pretty much everybody thinks that their voice is kind of weird or something like that. But it’s, uh, it’s an honor to have people enjoy listening to what I do here, uh, and I’m really glad that you’re listening. So hello and welcome to the program. Also, I want to say that, even though I’m not the only one on these podcasts, I do feature the four winners of the Master English Conversation Scholarship. Um, and some people, they don’t obviously appreciate listening to non-native speakers as much as they do listening to native speakers, but I think it’s really important, not just for learning the language, but for also feeling motivated and seeing the progress that you can make without having to spend years and years learning a language. So all of these things are very important and that’s why I will continue to feature the four winners of the Master English Conversation Scholarship Contest, just as they will be featured in this episode. But I will try to make more Power Learning Podcast Episodes that do not feature people. And that’s, again, it’s just a once-a-month thing. But I really appreciate everyone listening and it’s a, it’s a great honor to be able to be speaking here and, and to get in your ears, get in your ears a little bit. Yeah, I love these mics. Anyway, there’s a lot to talk about today, but first, as usual, I want to introduce our four winners from the Master English Conversation Scholarship Contest. Uh, all four of them, again every month, I’m so excited to see they’re making good progress every month and, um, it’s, it’s really just amazing when you take the time. It’s not a lot of time that you need to practice. But if you really take the time and you focus and you learn in the right way, you really train your brain. And I’ll be talking more about that today. Uh, but if you really do that, you can get a lot of progress very quickly. So I will introduce Bhaskar, Yen, Carlos and Jaroslava and let them talk about what they learned this month and what they did for their special mission homework assignment. Enjoy. Yen:	Hi. I am Yen and I’m a student of Master English Conversation. This month’s topic, which I really care about, is health and fitness lesson, helped me know how to use interesting and complex sentences in conversation. And I also learned some great phrases for getting fit. Actually, I have had great issues all my life. I’m not fat, but my body is just not as the way I want it to be. My [fighting 4:23] weight is 48 kilos and I want to be look slim and beautiful in dresses. I mean I’m out of shape right now and I’m really want to get fit. I think this month’s homework would be a great opportunity for me to create a new habit that could help me lose weight. To be honest, I have never get into a gym to exercise. And I also don’t like the idea at all. After thinking carefully, I thought of swimming would probably be the best sport that I should choose. Swimming not only helped me lose weight. It also developed my [inaudible 05:02] strength, cardiovascular fitness and endurance. Every day, I tried to get up early and went to swimming pool. Asian girls always want to have white skin. So I don’t think swimming in the afternoon will be a good idea. That’s why I have to wake up early. But this was a really tricky part for me. I just wanted to lie in my bed until the afternoon as I’m more into summertime and, of course, I don’t have to go to school. So I was trying my best to do this. It took me about three weeks to create this habit and now I don’t feel difficult to get up early anymore. In fact, I feel a little bit excited and in a good spirit to jog fresh, uh, in the early morning. I think learning to change your mind by focusing on creating a new and productive habit is a very good idea. As long as I can control my mind, I can do anything I want. I will try to create more habits about English in order to become a much better language learner. Okay, thank you for listening. Good-bye. Bhaskar:	Hi there. It’s good to have you listening to this podcast and I hope you are doing fantastic. I’m sure you’ll get a great [depth] from Drew in this podcast. It’s raining outside and of, because of the rains, the weather is getting a little cool, but still feeling a little hot. June month’s lesson set was about health and fitness. And after adding the Question Everything lesson to it, it’s fabulous. You can see in every lesson there are some stuff that he has given us. When it comes to the lessons, there are five lessons that are grammar-focused lessons about making complex sentences, Phrase Builder lesson, focused on phrasal words and idioms that are related to health and fitness. Fluency Corner lesson, described the types of muscles and workouts. Master Conversation Lesson that gave the style of real conversation between Shannon and Drew, describing the basic things of golf and American football. And, finally, Question Everything lesson by asking the questions covering all the above topics. Wow. Master English Conversation Version 2.0 has been giving the best. I learned plenty of things from it and I’m sure you’re all going to agree when you compare with my latest ones to my previous ones. Well, when it comes to this month’s Special Mission Homework Assignment, Drew gave a simple assignment that is to create a habit. That doesn’t need to be related to English. Anything. But we need to think about that hobby every day until it becomes a regular thing in our daily life. And for this assignment, I decided to develop a habit of watching one English news bulletin every day. Even though it doesn’t need to be related to English, I selected something that’s related to English because I’m on an English learning kick right now. Actually, this [here 08:57] reason why I chose this. You can see this after listening to this story. Almost [two] three weeks ago, there was a flood in not India. In [inaudible 09:10] near Himalayas where the famous temples are located. Lots of pilgrims visited these temples during the season every year. And this year, also a lot of devotees visited that place from all around the country. And suddenly, a terrible flood came and devastated all those areas. More than 3,000 were dead and five to 10,000 were missing. The officials haven’t declared the exact number. Shelters were destroyed by the wind. All the networks broke down. Even the government didn’t know it until it was telecasted on TV. Rescue operation was not possible for a few days because of the flood. Thousands of people stranded there, awaiting rescue without food, even without good water. Finally, the government came into action and sent military troops for rescue operation and they saved a lot of victims with the help of choppers. That’s what happened. Maybe two weeks ago, I had a conversation with my friend on Skype about this topic and during the talk, I mentioned all this story to him, but at one point, I got confused which word to use when express myself to describe the story about the situation, all the people that were isolated in the flood area. But I can’t, I couldn’t remember the appropriate word at this situation and I wasn’t able to express myself in a satisfactory level. But after that, with a little curiosity, what’s the correct word to use in that situation? I tuned to a national English news channel and I got that word and that is stranded. Stranded, yeah. Even though I am interested in what’s happening around, I never watched the English news particularly, until that time because the news from our native language is spicier and it covers the local topics. At the same time I was studying the Master Conversation lesson in which Drew gave an assignment to create a new habit and, immediately, I decided to develop a hobby of watching English news every day. In the beginning, I had to remind myself to watch the news in English, but now I’m enjoying the news and learning something from it. That’s it. Bye-bye. Jaroslava:	Hi. Hello. When I was thinking about my Special Mission Homework Assignment, my husband asked me, “What’s wrong?” I replied, “I can’t devise my new hobby.” My husband exclaimed, “I know what will be your new hobby. You can get up at 5 o’clock in the morning and make me breakfast.” I answered, “Thanks, my honey, but I don’t want to have this habit.” My husband leaves home around, uh, 5:30 because get to work at 6 o’clock, I am sleeping yet. Even though I like cooking, I hate get up early. I get up around half past six because of my children. What is my new hobby? I like this lesson about fitness because I am into yoga. My husband is on a cycling kick. As soon as the weather turn nice, our family goes cycling. We like to cycle around time although the area isn’t flat. When I listen to Shannon and Drew’s story, it makes me frustrated. I am 42. I want to be healthy, uh, because I learned every day about work my muscles, this month’s topic, rather than be out of shape, I decided to work out almost every day with [inaudible 14:47] be fit on YouTube. There are many workouts. I can’t opportunity go to English [game 14:55] or spend a day outside with English speakers. Therefore, I have to use YouTube when I want to spend time with native speakers. I can’t work out and practice my English at the same time. Conversation lessons, Drew and Shannon’s was very helpful for me. I was sitting in the garden, working the [inaudible 15:16] conversation and imagine that I am in barbecue party with them. Carlos:	Hey, guys. It’s Carlos from El Salvador. I’m here, explaining to you some things that I’ve learned this month, this past June about EnglishAnyone.com. Actually, the topic is about health and fitness, something that everybody or all of us should be worried about. Why? Not because we aim to have big muscles or something like this. No. But the real thing is, uh, healthy, to be healthy. I must say that and the real [inaudible 16:18], we do not have to be a couch potato. I mean, it’s something really basic, if you think about it. Just make some exercise, go to the gym and work out. So first of all, I want to tell you about complex sentences. Complex sentences is something that I, I’ve learned. I have learned something about it, but I really understand this time because Drew is very patient and he’s always explaining to us in a very clearly way. So I learned that you can join sentences in order to make it complex. So there is something that you need to create your own stories or tell an anecdote because you need those words and those joins to make a story. First of all, you, you, you, you make, uh, complex sentences, but if you think about it, all stories are about complex sentences. Something leads you to another and so on so that you create a story. So that is very important for me from this month because it’s one of the things I need to get fluent. Words, like after, before, as soon as, therefore, hence, however, though, and words are words that join sentences you could create a story or something like that. So the next thing I want to [inaudible 18:30] is the phrase builder is something good because we have a section called Phrase Builder. And what is that? Um, it’s simple as this. There are – they are phrases that American or native speakers are commonly saying, um, about health and fitness. One of the, one of those is be fit. It is the same being in shape. And, in other words, be kind of healthy, not a lot of, not a lot of muscles, but kind of healthy kind of thing. Um, Drew is always telling us that you, we have to blend sounds. What is blend sounds though? Simple as this. It is, uh, say the words nor, ah, not in a hard way, but in a smoothly, smoothie way, like blending. That is blending the sounds. So, in a way, we get fluent more faster. So with the Master English Conversation was kind of fun. When Shannon is there, is, the guy is very funny. The Australian accent, the Australian accent is very – well, I, I couldn’t understand it at all this time. This time, Shannon was very quick. It was very fast, but I enjoyed the class. And that is all for today. I hope you understood me because, uh, uh, complex sentences are very important in phrase, the native speakers say it’s very important too. So see you next time. I hope you learn many things this time. Bye-bye. Oh, uh, I almost forgot, I have to tell you about my mission for this month. What Drew asked me to do was to create a habit. What is this? Something that you do on a regular, on a daily basis. What was my mission? Well, what did I do? I’ve been always fascinated with exercising, with workouts, but I’m out of shape, of course. So I decided to start to make pushups. I know it’s kind of difficult the first day because the first day was terrible, awful for me. I was, the first day, of course, you do it and you don’t feel anything. But the next day, man, it’s awful. But the next day and the next day that you do it, it becomes much easier to do it. The pain never gone, but by this time, I have a kind of tolerance to the pain, but it still hurts, trust me. Well, Drew is, was asking me to eat with the – I’m righty, by the way, righty. I eat, u, do most of the things with the right hand. So I have to do this, uh, eat with my left hand because I’m not lefty. That was kind of difficult, but, but you know what? After all, when you do something very regularly, it becomes something easy, accustom, something that you do without thinking, actually. Well, that is all for this month. I hope you enjoyed your classes. See you next time. And I’m back. Well, I hope you enjoyed listening to them. They really are making fantastic progress and they sound much more relaxed. They’re able to think more when they speak in English and they’re really able to express themselves and tell jokes and use the real native English phrases that we use in regular conversations. It’s a sense that you develop over time and I can feel that all four of them are really doing a good job of practicing and I’m really impressed with their progress. So, let’s get into the tip for this month. Last month, we talked about improving your grammar and why it’s so important to improve your grammar and then worry about your pronunciation after that. I talk a lot about that. I even have a post, uh, on the EnglishAnyone.com blog. You can go there, uh, EnglishAnyone.com and you can look at the blog. It’s a couple of posts down at this point, uh, but it talks about why it’s such an important thing to focus on grammar and why your pronunciation is not so important. So that’s why you’ll see, as I go through these, uh, this, this one-year program with these scholarship winners, I’m giving tips about how to improve. And each month, I get a little bit more specific about what you need to do to get better. So last month, I talked about grammar and I will get into pronunciation practice and accent training and all of that later, but it’s kind of later in the year, after they felt like they can really use grammar confidently and understand it when native speakers are talking. This month, because they are getting into, uh, let’s see, I guess they’ve just finished month five of the program. So they’re almost halfway done with the year. They’ve got one more month to go, uh, to get into halfway. So right now, they’re getting into that groove where they’re going to be, um, kind of focusing on more specific things, as they want to get better. And you’ll notice, when you start doing something, you make a lot of great progress early on. And then, as you get better, it gets kind of harder and harder to make progress. So that’s kind of one problem. We call this diminishing returns where you spend a lot, a lot of energy and, at the beginning, you make a really, uh, great amount of progress, but as you get more and more, you know, kind of better at what you do, then you can’t make as much progress with the same amount of effort. Uh, and the second thing is that, when you’re learning something, whatever that skill is, there will be times where you see lots of progress and other times where it feels like you’re moving backwards. Now, this happens to me also, as I’m learning Japanese. There are some days where I feel my Japanese is en pointe. En pointe. This is an expression that just means like it’s really, really good. I’m feeling very confident. I’m speaking very well so my Japanese is en pointe. Uh and this is another phrase you can use in regular, casual conversations. But, uh, just this idea that sometimes it’s going to go well and sometimes it’s not going to go well, it becomes really important to train your mind so that you can control how you feel. If you can master your mind, then it becomes much easier to achieve what you want to achieve. Some skills, like picking up a rock and throwing it, are really quite simple to do and you really don’t need to think about them so much. But something, like learning a language, it takes a lot of time. And if you don’t have the psychology of success, if you’re not really, uh, understanding how to protect yourself when you’re feeling down and motivate yourself when maybe you’re having a bad day or your English is not flowing like it should be, then you won’t be able to reach that high level where you can really be speaking confidently with native speakers. The first thing you have to do is understand that the ups and downs of your fluency are completely natural. I’ve talked about this many times in lessons with students and also online in videos, but it’s something that will happen to you naturally. And what you can do, if you have kind of a positive mentality, a positive mindset normally is, even if you’re not feeling so happy about something, you can continue to feel better about that thing. So, usually something will happen in your life, whatever that thing is, it’s really neither good, nor bad, but you decide that something becomes good or bad by how you think about it. And this becomes really important with fluency because it’s a skill that takes time to build and there will be times when you are feeling really good about your fluency and other times when you’re not. So, if you have a mentality or a mindset of a kind of positive person, then even a negative day, you can, you can look at it as okay. This is my, this is kind of my time to relax. Maybe I should focus on something else and not worry about it so much. But if you have a negative way of looking at things, then you will look at that situation and feel very upset about that and actually make it worse. Remember that the universe, it really just provides experiences for you. You have to decide whether or not those are good or bad and you really decide that. There’s nothing good or bad that actually happens to you. It’s all something that you create for yourself. So, as you deal with the ups and downs, remember to think about, ah, I decide how I feel about this. And, if it’s not feeling so good today, that’s natural. That’s normal. Right now, okay, I’m not being able to speak well or I’m forgetting words, I’m going to focus on something else. I’ll take a walk. I’ll read a book or I’ll do something else, but just don’t force it. Remember that it’s a natural thing to have these ups and downs, as you learn a language. The second thing I want to talk about for your mindset is questions, not problems. Questions, not problems. When you have a problem, it’s almost like it came from someplace else, whatever that situation is. Your mom did something or somebody else did something to you, whatever that thing is, but that thing came from someplace else. That’s when you have a problem. But when you have a question about something, it means it’s coming from you. You get to decide how you think about it. This is kind of like the last thing I just talked about where you get to decide how you feel. But you shouldn’t have a problem with something because you really can’t get rid of a problem. But if you have a question about something, then it’s much easier to focus your mind on solving that and actually getting the answer to whatever that question is. So, as an example, I could say, “Ah, I have a problem. I don’t know how to, how to, how to start a company over here.” And then, when it becomes a problem, it’s just something I hold onto. So, if I’m trying to build a business, I say, “Ah, I have a problem, like I, I can’t build a company,” or something like that. In my, my language, you can hear that it’s very negative and it just says, “I have a problem. I’m a victim in a situation.” But if I turn that around and make a question out of it, I can say, “How can I start a company? How can I do something like that?” When it becomes a question, my mind opens up and that’s when you start finding solutions and it’s kind of like the world magically responds to you when you begin doing things in that way. So remember to think in terms of questions and not problems. If there’s ever something you can, that happens to you, you can call it a problem, or you can turn it into a question. So practice doing that and it will help you get the right mindset for success that will give you fluency much, much faster. The last thing I want you to think about is your language. And this is not just your English language, but even how you speak to yourself in your own language. When you use words like, I can’t or I won’t or I don’t, you’re really telling your brain that it doesn’t need to do anything, that you’re, you’re not very intelligent or that you’re not very good or anything else like that. It’s basically the same idea. So what I want you to do is always try to think about something in terms of what you can do and then focus on that. And if you can’t do something, you don’t necessarily maybe know for sure that you can’t do something, but I really would much rather you think about how you can do something. So, just like the last tip where I talked about questions are better than problems, the same way here, it’s better to really watch your language and, by telling yourself positive things, even if you don’t know how you can do something, to turn those into questions and think about the positive things that can help you improve your life and it can help you improve your fluency. So listen very carefully to your language, not just your English language, but the way you speak to yourself, what kind of language do you use. And listen to other people. You can hear the way that they talk about themselves. Are they a victim or are they controlling their own life? Associate with other people who are also trying to do interesting things and other people that want to take control of their life because those people will help you get to the next level as well. So be very, very focused on your language and really listen closely to the language of other people. Use positive language when you speak and, even if something that maybe kind of looks negative happens, you get to decide how you feel about that. So all three of these things, really, it’s getting you to improve your mindset so that, as you go through the process of getting fluent, you can deal with those times when maybe you’ll get better or worse, um, or other times, ah, you’re, you’re really just having a really bad day and then you can start feeling better about that. So this is a specific skill that you need to have if you want to become a successful speaker or successful at anything else you want to do because most of these things are going to take a long time and you really need to be the kind of person that can correct yourself, that can control your own life and not feel like a victim. As you listen to all these tips, you probably noticed, as many people do that they’re not just for learning English. Most of the things I teach, I, I actually honestly am more of, uh, kind of a life coach, um, and I, I really help people and talk to people about their psychology and trying to get them to figure out the best way to do things by first focusing on themselves, focusing on their own minds. There’s so much information on the Internet right now about learning languages or doing anything else, but there’s still basically the same percentage of people that are finding success. So that should tell you something very interesting about information. Right now, you can find information on the Internet about anything you want to, and certainly for learning languages. If there is a grammar point that you don’t understand, then just type it into Google or whatever and then you can find the answer very easily. But there is still only a small number of people, a small percentage that’s actually finding success with business or fluency or whatever the actual skill is and this should tell you something very important, that it’s still not about information. It’s about you. It always begins with you and, once you become a really powerful force for yourself, you become positive and powerful, then you can start taking the information and really doing something important with it. But if you’re not ready for yourself to do something powerful and really change the way you think about your life and the things that you do, then all of the information in the world that’s easily available is not going to help you. 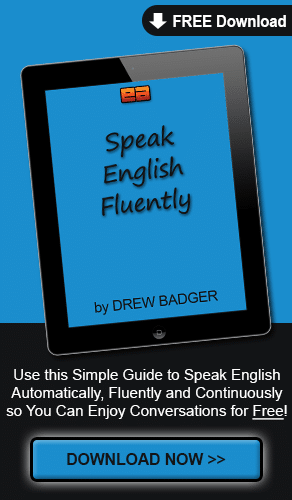 So think about all of these things as you continue to improve your fluency and, again, not just for your English, but also for the rest of the things that you do in your life. I guarantee you, you’ll start seeing more success. The more control you take over your life, the more positive you feel and the more you realize that you are the one that controls everything. Nobody else is really doing anything to your life. When you really start controlling your life, that’s when you’re going to see amazing things happen. All right. Well, it’s been another fantastic episode for me. I really hope you’ve enjoyed it. If you’ve got questions or comments, feel free to post them down below this video or, if you’re on EnglishAnyone.com, you can post them in the comments section below this podcast. Have a fantastic day and I’ll see you next time. Bye bye.